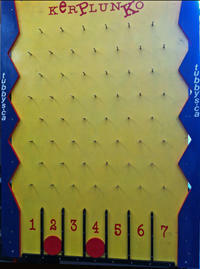 Calgary Giant Plinko Rentals | Tubbys.ca Calgary Alberta. This is the Giant Kerplunk Measuring 6 feet high and just under 4 feet wide. Complete with 7 score slots that can be used for promotional give away or let just to play as a game. 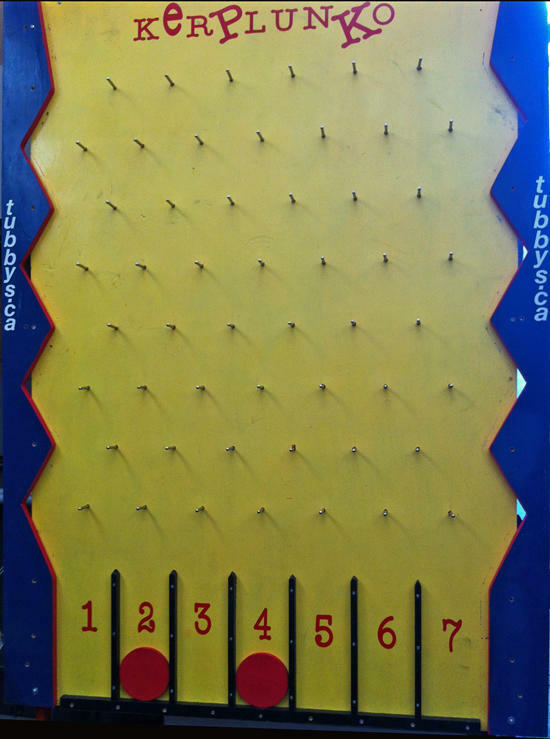 Customize the Giant Plinko Game. Make the game your's Customizework the Game with your logo or artwork. Call or Email the office and speak to our graphic design team to help with the design.